One crucial problem which most of the smartphone users face is the storage problem. Your phone might be running out of low space. Do you know why? There are various reasons which affects device's memory. Android's system files alone takes up to GBs of space. While applications, cached data and media files are other reasons. If you are also facing the same problem, then one of the best way to free up some space in your phone memory is by removing duplicate files. These duplicate files generate due to many reasons like file sharing, file downloading, backup of files, cache, technical glitches and much more. They can slow down your phone's performance and speed. 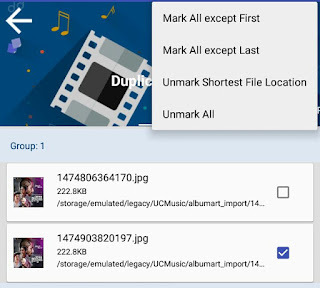 We have a number of third-party apps to remove these duplicate files in Android and here I am going to review one such app named as "Duplicate Files Fixer". Let’s discuss some of the useful features of this app. You can select any folder or file (such as audio, videos, pictures or documents) of your choice to perform scanning for duplicate files. You can add particular folders in ignore list to exclude them from scanning. It provides enhanced and categorized results. It supports 14 different languages to help users around the world. The app is light-weight in size and very simple to use. There are two beautiful themes available: Classic and Material theme. 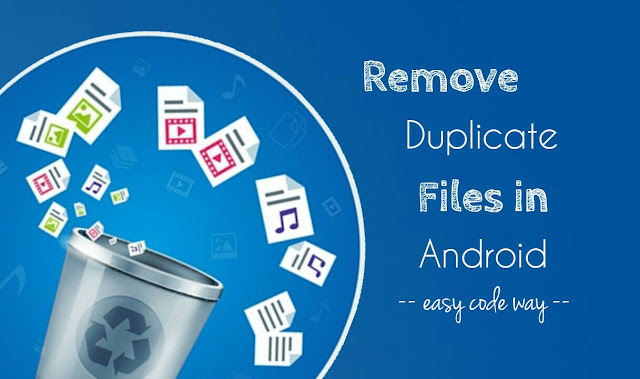 You can install Duplicate Files Fixer app from Google Play Store and it's absolutely free. First launch the Duplicate Files Fixer app. 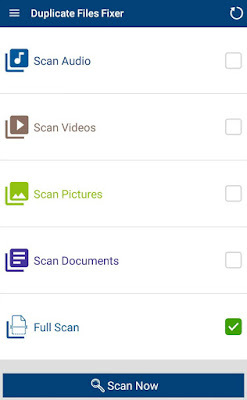 Now select a particular file you want to scan or you can select "Full Scan" option. Next, tap the "Scan Now" button at the bottom of the screen. Once the scanning is complete, you will see all duplicate results arranged in a group. Review all selected items and click "Delete now" button to remove all duplicate files from your device. You can also take the backup of data before deleting it. There are few other options available in the menu list like "Mark all except first" or "Mark all except last". You can also unmark all the files to select them manually. Shortest Path Unselect option will delete all duplicate files from the device which exists at the longer path. Thus the original files will remain on the shortest path of the device storage. This way you can access files in an instant manner. To customize other app settings, first click the menu button (three parallel lines) and then click "Settings". There you will find few options like ignore list, scan filters, language and theme. 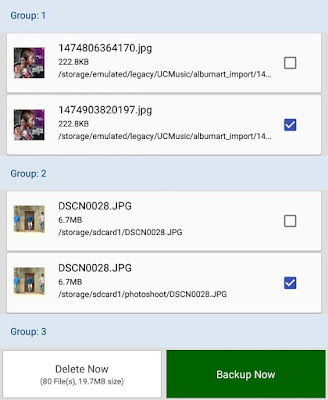 So this is how you can delete all duplicate files in your Android phone. Undoubtedly, it's one of the best way to free up some space in your storage. If you would like to add something in this tutorial, please do share it in the below comment box.